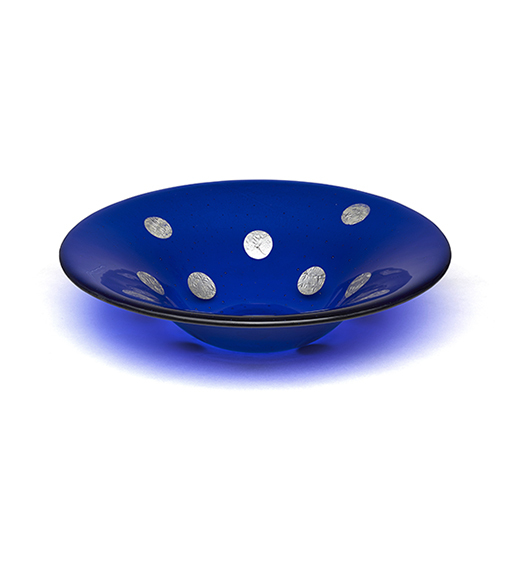 A deep blue bowl dotted with silver foil circles. The bowl measures 28cms in diameter. Please note that due to the handmade process, each bowl may vary slightly from the photograph depending on its position in the kiln, amount of glass used etc.